The lively coastal town of Cascais near Estoril, Portugual, plays host to the Global Champions League from the 7th - 9th July 2016. The wonderful parkland of Cascais is transformed for two days of high-calibre show jumping which last year saw two-time Champion Scott Brash take top honors in the Longines Global Champions Tour Grand Prix once again - his third win of the season. Estoril has grown into a renowned international destination for world-class sport, hosting the America’s Cup sailing, golf, tennis, surfing and motorsports. Blessed with a fine climate most of the year, visitors flock to the coast to soak up the sun and enjoy the great landscape and attractions. 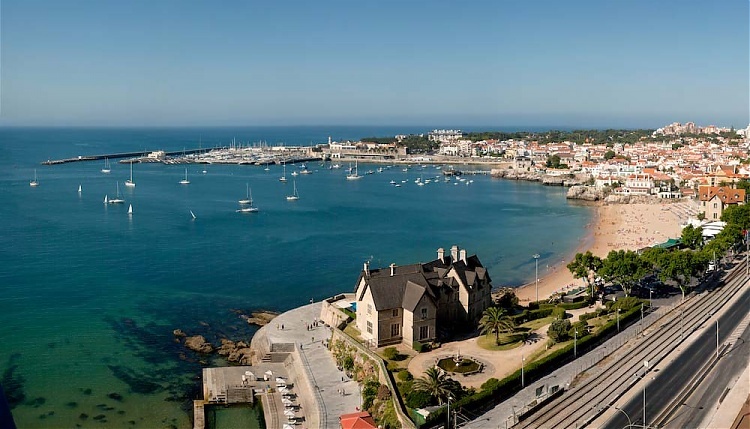 One of Cascais' biggest draws is the beautiful sandy bay of Praia de Tamariz. Cascais became the summer destination of choice for Portuguese nobility in the 1900s - it has since become a lively international beach resort. Down the road, Estoril’s famous casino is thought to be where Ian Fleming came up with the idea for Casino Royale, as he stalked Yugoslav double agent Dusko Popov at its tables. In Portugal there are palaces, museums and national parks to visit and the capital city, Lisbon, is only a short distance away with its top-class hotels, restaurants and bars. The 11th leg of the League is sure to be an exciting event, as teams fight for supremacy in the overall 2016 Championship Ranking.